Velsicol created a special soil "consolidation area" on the north side of its manufacturing plant site on Warford Avenue. The consolidation area was constructed to securely hold contaminated soils removed from properties identified by the Tennessee Department of Environment and Conservation (TDEC) as requiring cleanup, so that no pollutants are released to the environment. Soil collected from contaminated properties is brought to Velsicol's plant site by trucks and unloaded in the consolidation area. 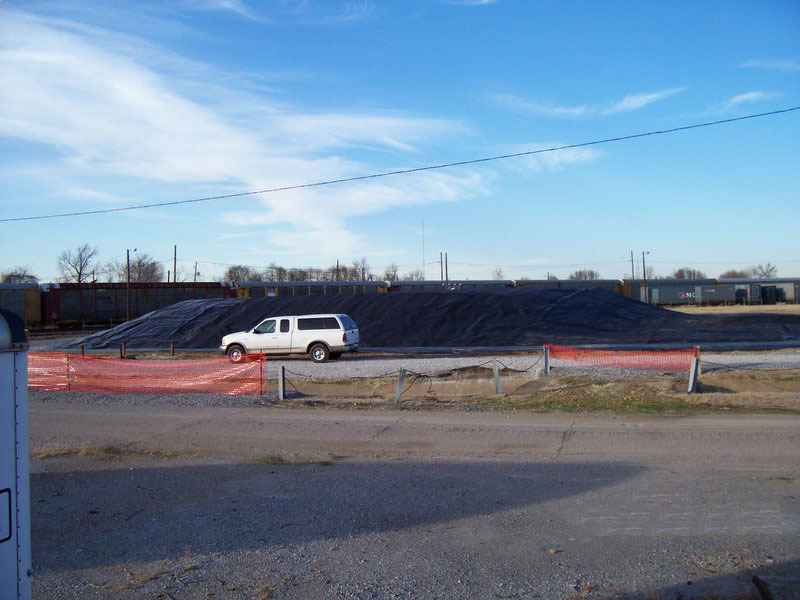 A polyethylene cover over the consolidation area, which covers an area of approximately 200 feet by 150 feet, was designed to prevent dust blowing and to prevent rain water from coming into contact with the soils. Water that runs off the polyethylene covering is allowed to drain from the plant site with other uncontaminated storm water runoff. Copyright 2006 © Velsicol Chemical Corporation.